Skateboarding technology and innovation is constantly updating. 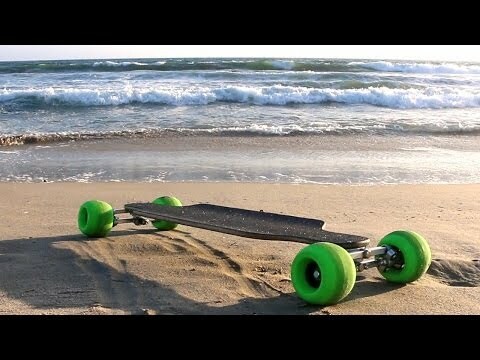 In 2014 we can see electric skateboards that can take you anywhere for just a few cents and without pollute, ergonomic longboard models that can increase your speed without compromising smoothness and advanced protect equipment that allows you develop skills as rider at the highest level of safety. Day to day we can see a tremendous impact in the skateboarding/longboarding world. Enzo Prathamesh Shinde is one of those great contributors of the skateboarding market. As founder of Pramash longboards, he is launching the new invention of the company. 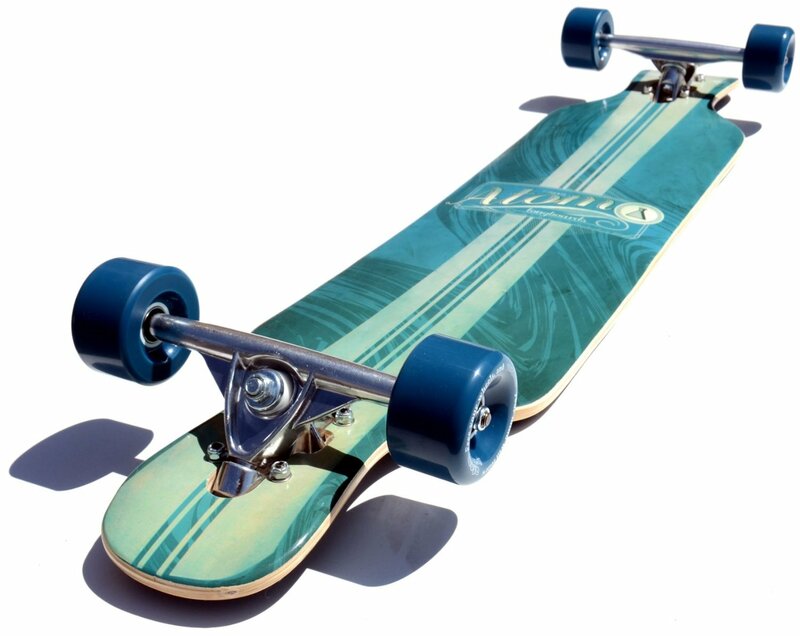 The renowned lean skateboard. This skateboard is actually the unique in the world that allows you lean into turns. So, if you are looking for a top-notch board that provides you the highest level of riding, you should keep reading. Designing is my passion. I am an experienced inventor with some special love for skateboard engineering and innovation. Such love allowed me to develop the first lean skateboard in the world. I love big wheels in skateboards. When it comes speed, big wheels allow you to go faster and keep smoother level at the same time. However, the common problem with big wheels on skateboards is the center of gravity, which is so high in the ground. So, go through shaped bends or trying advanced slides when you are downhill become more difficult tasks. I wanted to create a top-notch skateboard by combining the softness of a snowboard and the balance, stability and performance on turns experienced in a roller coaster. That is how this idea was born. Words of Shinde in a video report before demonstrating all the awesome features of such skateboard. With the most advanced technology, innovation and creativity, the Pramash lean skateboard has been designed with first class materials. 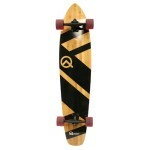 Its perfect shapes and strong plywood maple deck provides you a strong board with a long lifetime. Trucks are made by a blend of aluminum alloys, which is the same material that is used to create aircraft and space shuttles. Aluminum based trucks are lighter and stronger than regular trucks. Also, regular skateboard trucks are designed to lean in only one plane. The Lean board trucks are designed such a way that can lean in three dimensions. 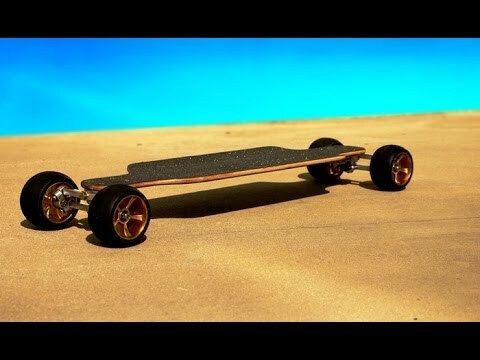 These trucks can be also attached to any other skateboard. That way you can attaching the Pramash trucks on boards in every size and shapes, so you can enjoy all different styles of riding such freeride, downhill even freestyle with the highest level of lean into turn. Although the board has big wheels, it’s still having a low center of gravity, which provides you more stability and performance when you are downhill, a better handing and increase your confidence while you are making sharp turns. Its big wheels allow you to go faster without being annoyed for imperfections in the ground. Some test riders are achieved speeds over 35 MPH (which is awesome!). 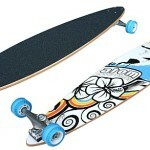 Riding experience on this skateboard is amazing; it feels stable and provides speed. It is more responding and gives you more performance at the moment of cruising. Just the amount of lean and turn that you can achieve at the moment of downhill is great. The board responds at the minimum sign of turning and some professionals claim that riding the lean board is almost like a surfing experience. You can put a lot more force in the turns and make slides and skid easier than with a regular longboard. Basically, you can find a lot of skateboards/longboards out there, and they can be good as well (even better) in terms of deck materials, lifetime, speed or quality. But, when it comes lean into turns, nothing can beat a Pramash skateboard. Large 120mm Urethane Wheels allow you to increase speed without compromising softness. 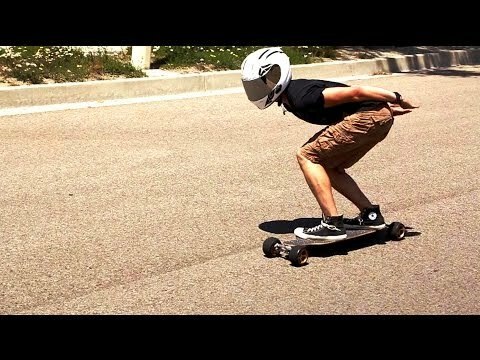 As rider, you probably know how valuable it can be having a skateboard/longboard that allows you to lean into turns. You could exponentially increase your skills and develop style in a relative short period of time, even if you are just starting. So, in our professional opinion, this board is the perfect choice to any kind of rider. Don’t matter if you are an experienced longboarder that need to try something new in order to increase your level or just a newbie that want to learn with the highest level of safety and performance, the lean board is especially designed to provide you the best experience of riding. If you are looking for top-notch skateboarding technology that allow you experience the highest level of cruising and help you develop new skills as rider, you truly should consider the idea of buying a Pramash lean skateboard.